I keep buying cans of organic pumpkin puree even though it is so far past pumpkin season. I end up using it if I have it, baking and mixing it into my oatmeal. I didn’t really like them, since they were too cocoa-y for me. I prefer things cinnamon sugary, smores-y, maple brown sugary. Scott, however, loved them and ate almost 20 cookies in a week. I packed them in his lunch in an old peanut butter jar I washed out. He left two behind, and only because he was too tired to eat them after work! THEN I made these: the best chocolate chip cookies. They tasted like salted caramel, and I added coconut shreds and white chocolate chips. Scott loved them, and so did I. We ate so many that we swore off cookies forever. And with the smell of fresh baked cookies in the house, that did not last long. So, we’ve been eating way too many cookies lately, even though I do make things as clean, whole wheat, and healthy as possible. For me, I use coffee creamer in my coffee, so on a morning after cookies, I would stick to only one cup & go easy on the International Delight. Make some Curried cauliflower bites. 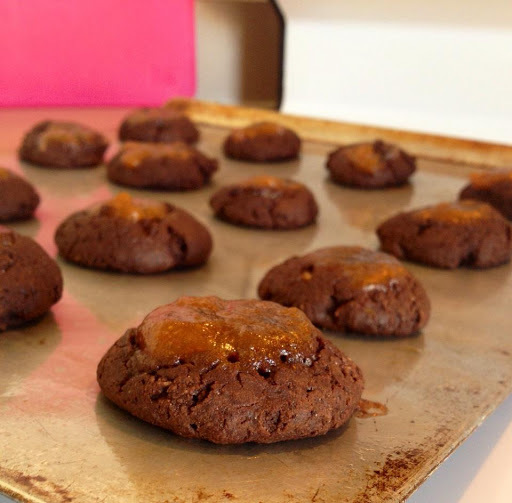 These are flavorful and yummy, and their taste doesn’t really cooperate with salted caramel cookies. –These are super easy. 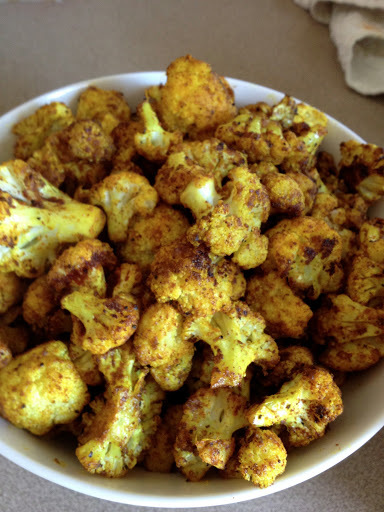 Cut up a head of cauliflower, toss in a bowl with olive oil and curry powder, and roast at 400 degrees until they look crispy! But most of all, don’t worry. If you’re eating healthy, whole foods, don’t worry about it! Don’t guilt yourself or wonder how many calories that must have been. You’re human and enjoying cookies like those above is a good part of life. What Happened To Goodbye Tour!